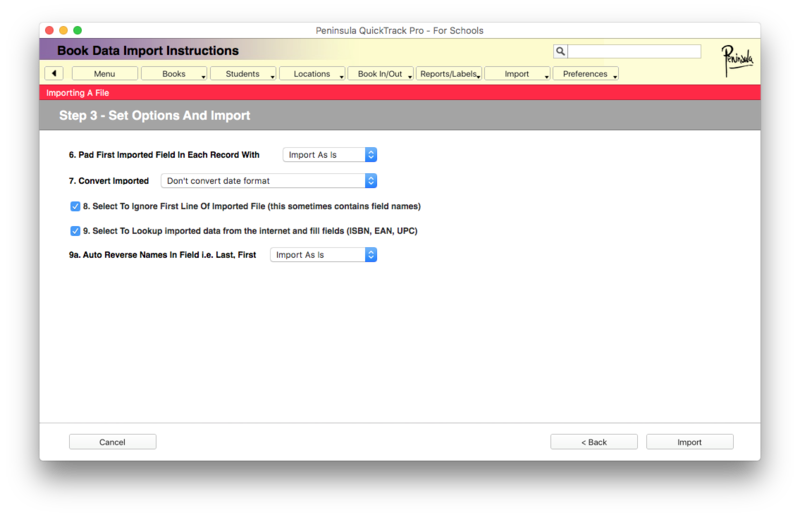 Below you will find a tutorial teaching you how to Import a CSV file into QuickTrack Pro for schools. 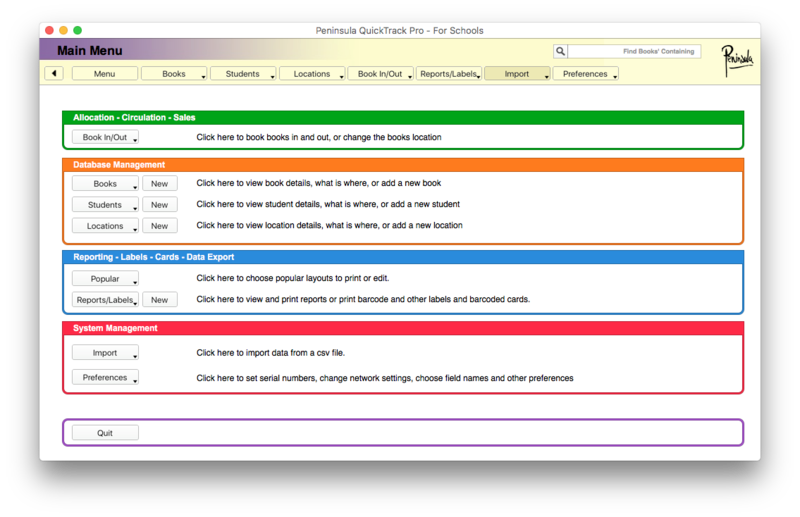 Open up the QuickTrack software, once the software is open click on the "Import" tab. The dialog above shows were the tab is located. Once in the "import" tab, navigate to the "import items" tab and click on it. When you have clicked the "import items" tab, the dialog should now look like the one above. 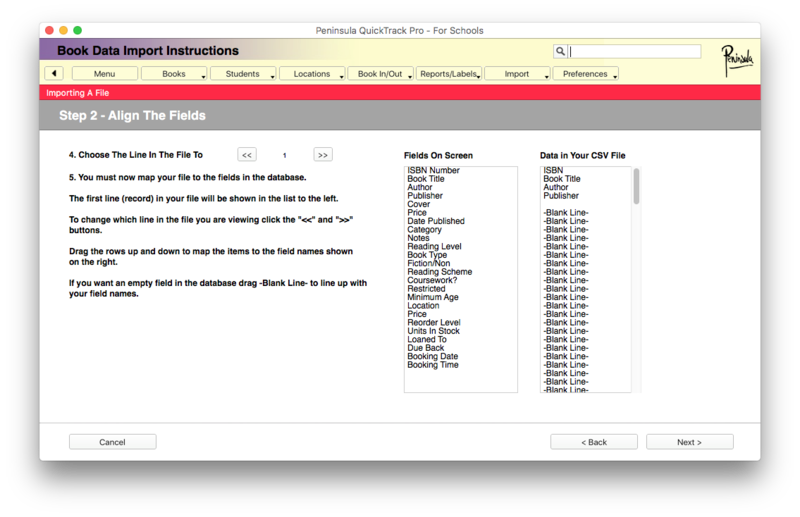 by clicking on the "choose" button and selecting the CSV file that will be used. Once you have selected the correct file, click the "next" button. After clicking "next" the above dialog should now show. Check that your fields line up correctly, then click "next". Depending on how your CSV is setup you can choose to ignore the first line, which may be the headers or field names. 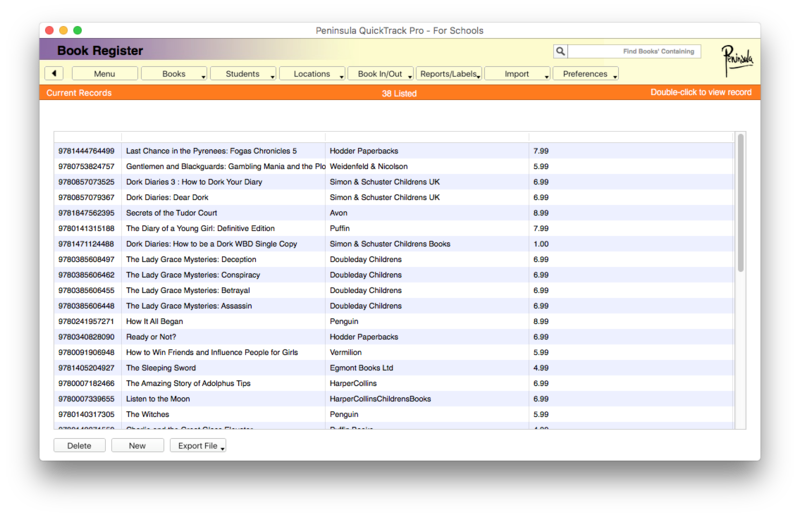 You can also get QuickTrack to automatically lookup extra data from the internet using option nine. You can now click the "import" button. If you now switch to your Items list you will see your successfully imported items.